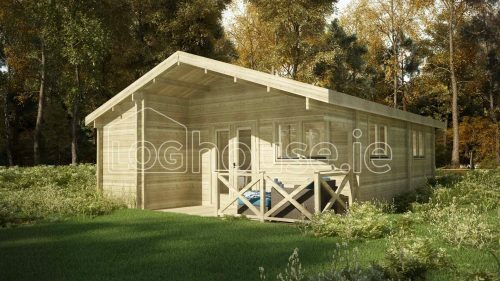 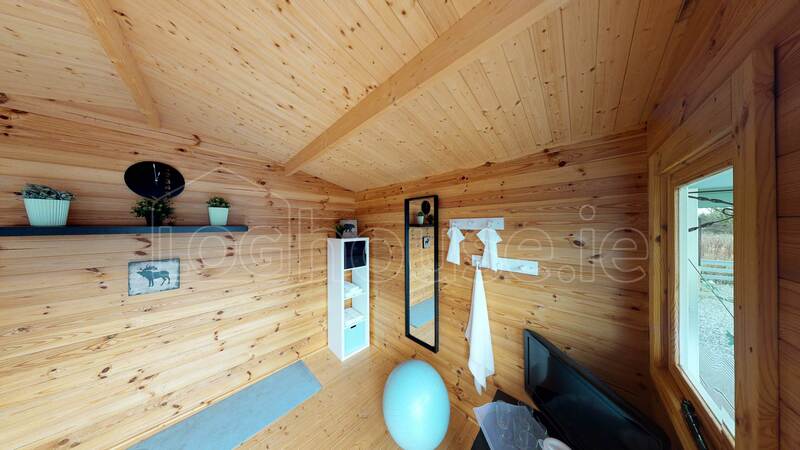 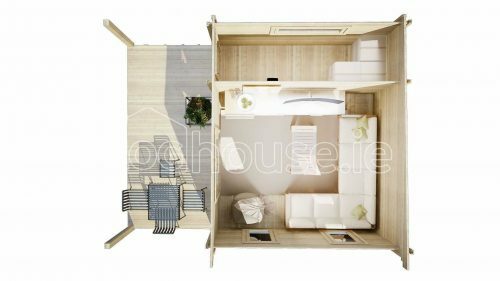 Greystones 4m x 4m + 1m overhang – 1 room log cabin. 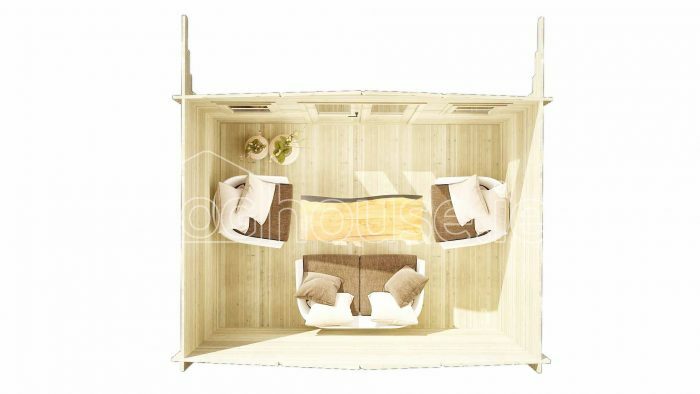 Also available in 4m x 3m. 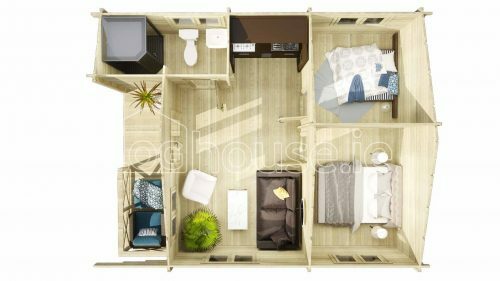 Please check it here. 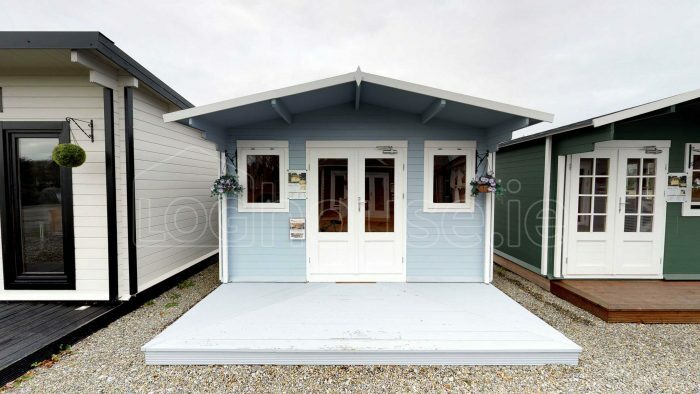 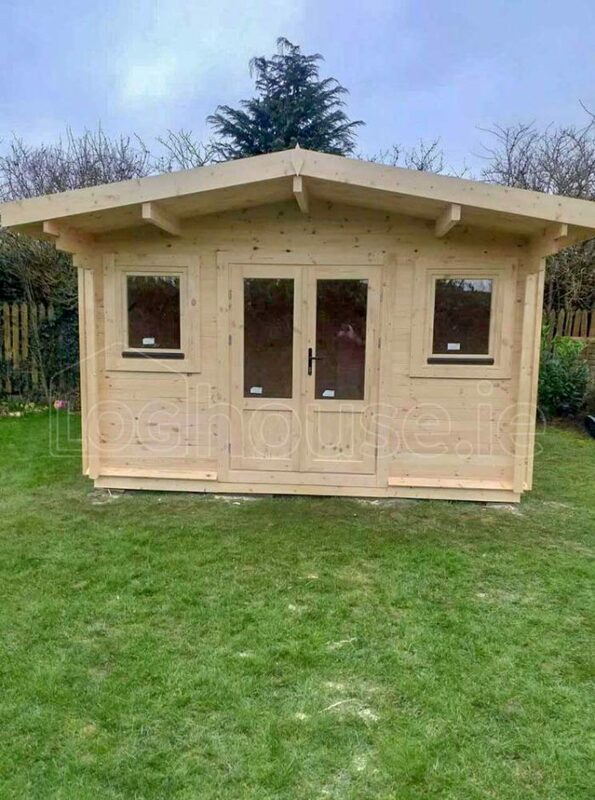 One of our best selling small garden log cabins – Greystones log cabins which is available in two sizes 4m x 3m and 4m x 4m. 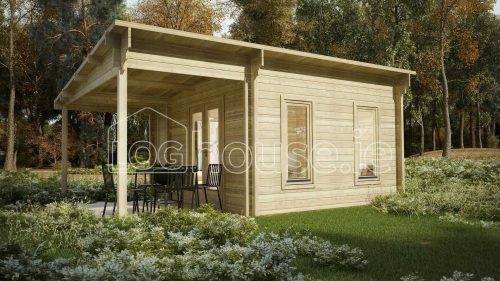 This one room garden log cabin has 1m overhang to protect your front of the log cabin or front decking from strong rain & sun. 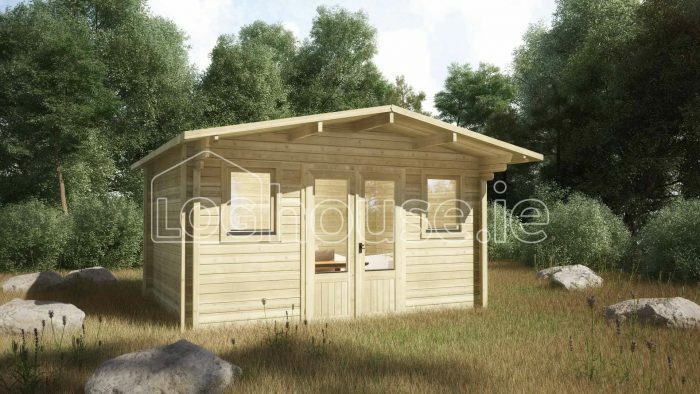 Greystones log cabin can be featured with single glazed windows and doors to be used as basic garden storage unit. 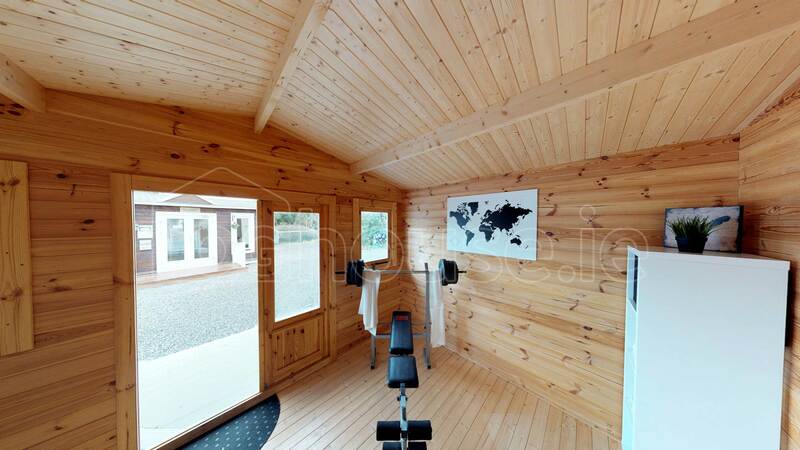 Alternatively it can be upgraded to thicker 35mm log walls and 16mm double glazed argon gas filled windows. 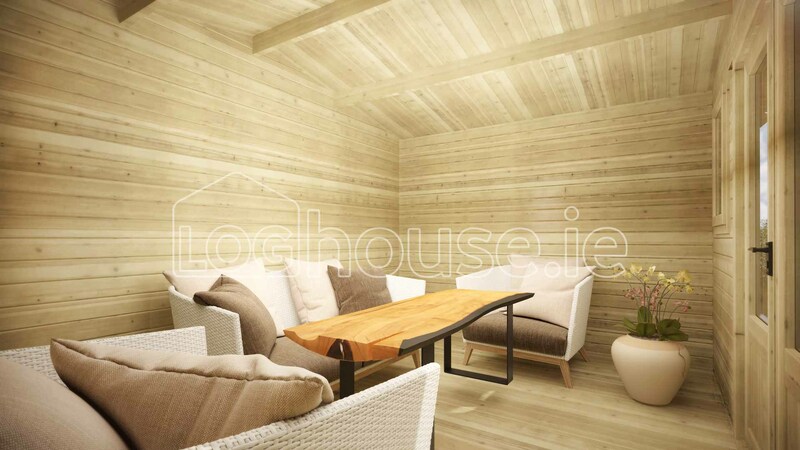 On client request walls and roof can be insulated and log cabin could be used as study room, art room, office etc. 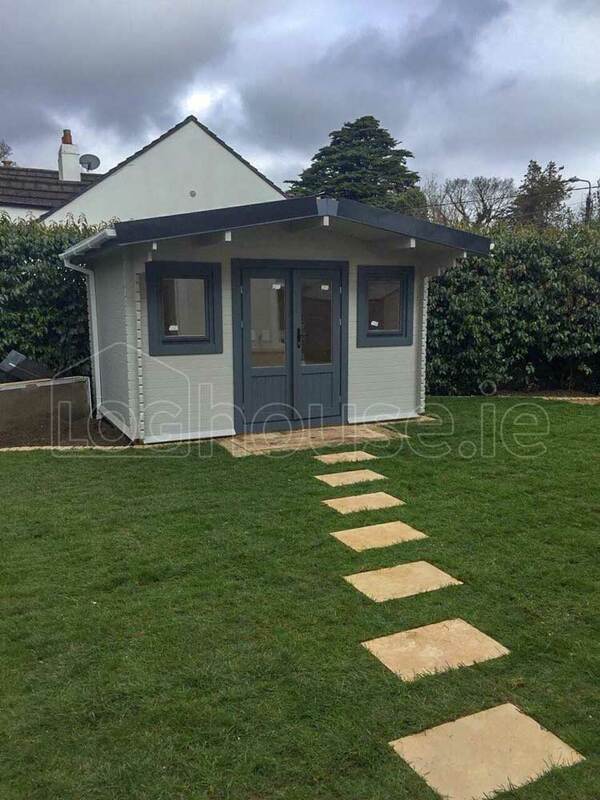 Greystones log cabin windows offer you some more privacy comparing to Kilkenny or Wicklow log cabin range as they are smaller and installed higher. To supply more light to the log cabin both doors are fitted with large windows. 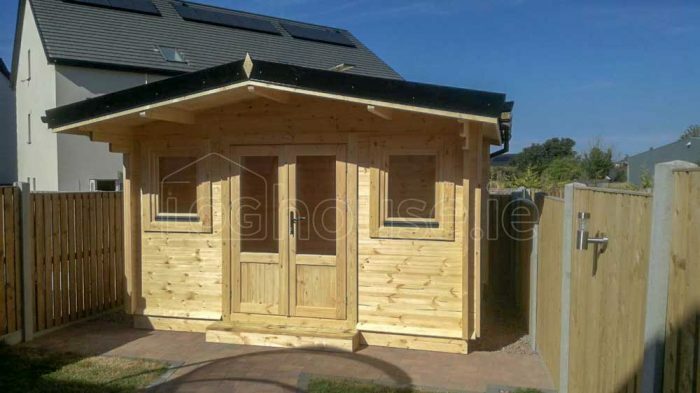 If you are looking for budget range with high quality log cabin from Scandinavian slow grown timber, look no further. 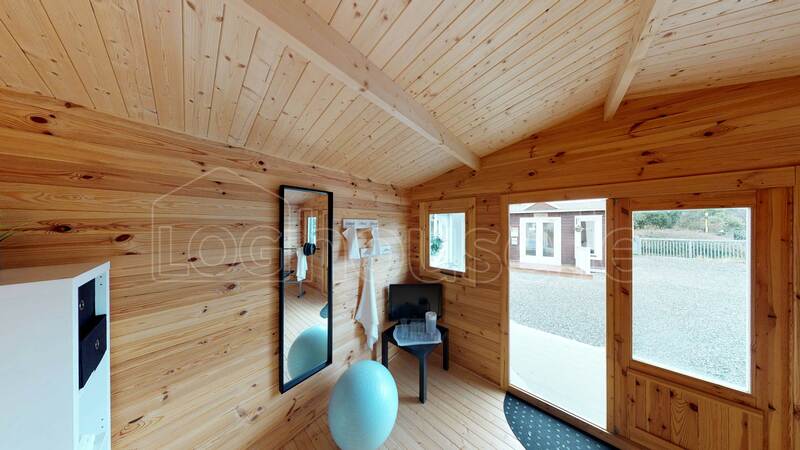 This log cabin can be seen in our Kinsealy showroom. No appointment needed to visit our showrooms Tues to Sat from 12pm to 5pm. 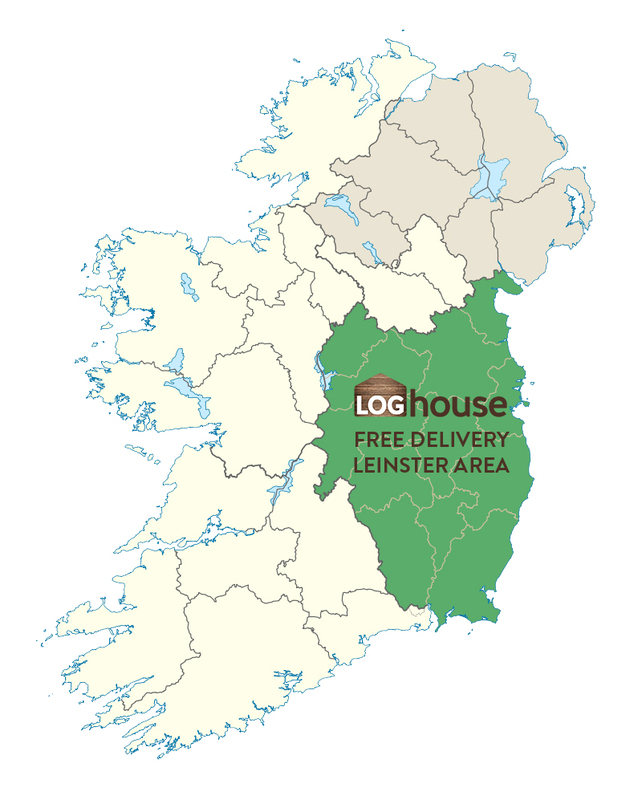 Our showrooms locations can be found here.